This beautiful, well maintained colonial home with 4 bedrooms and 2.5 baths has been meticulously maintained by its original owners. The front porch welcomes you in to a warm and friendly foyer which flows into the open concept kitchen and fireplaced family room. The oversized master with enormous walk in closet and expansive bath boasts plenty of space for all of your furniture and still leaves plenty of room for you to enjoy a nice seating area or workout space. Recent improvements include water heater, large a/c unit, carpets, granite countertops, wood floor refinishing and new paint through entire home. The large walk out basement is unfinished but has plenty of space for you to bring your creative ideas. 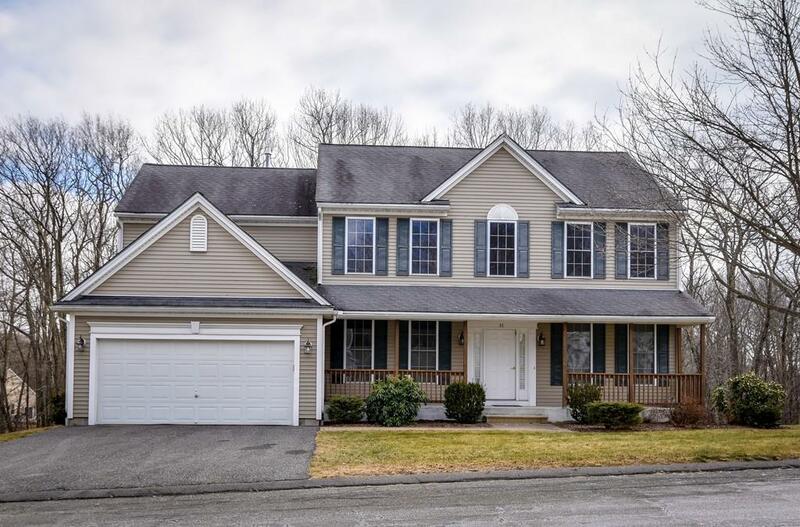 The Ashland school system has been recognized as one of the best in the state and location of this home is highly desired for its proximity to Boston and ease of commuting with the train station located within 2 miles. Selling Office: Jane Coit Real Estate, Inc.